REAL by Rodrigo Nogueira at The Tank Theatre - extraordinary! Sadly, the limited run of playwright Rodrigo Nogueira’s extraordinary play Real ends today (January 20th). This production from the Tank Theatre marks my introduction to Nogueira, who I believe to be on the precipice of becoming a major theatrical voice in this country. With fifteen plays and four musicals to his credit (mostly produced in Brazil and Portugal), Nogueira is highly prolific, especially for someone still so young. 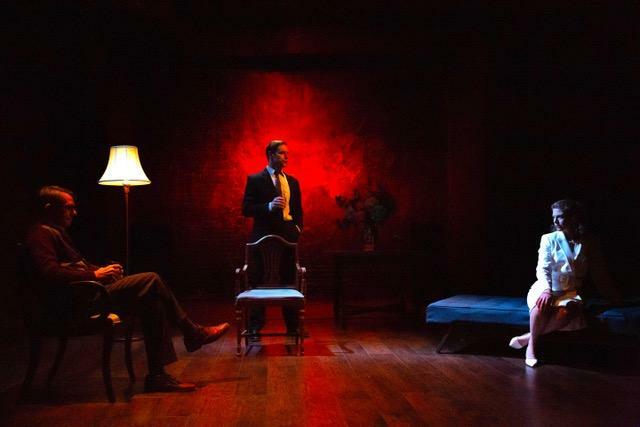 Relatively new to the New York theatre scene, Real has intimations of Harold Pinter and John Guare; connoting their combination of literal and theatrical style. Aided by superb direction from Erin Ortman, and a fine five-person ensemble, Real is as good as it gets. From the play’s first line “I am a man,” delivered by a woman, a whiff of intrigue hangs provocatively in the air. What we soon cleverly discover in this opening speech is that the character of Dominique is an actress rehearsing a monologue. 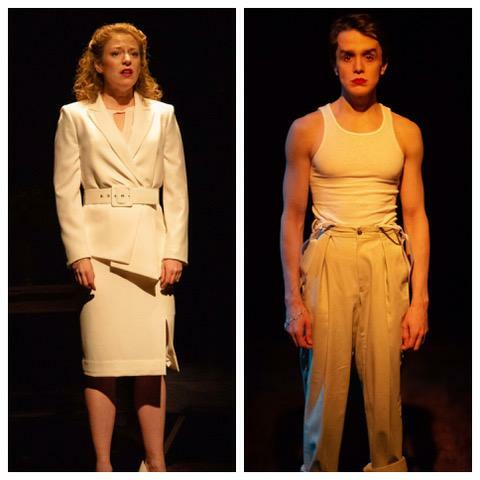 But the question of gender identity is key to the play, and in only a few short scenes, in its compact seventy-minute running time, Nogueira packs a litany of issues with economy and skill. Never preachy, the back and forth of two different eras (current and the 1930s), deal not only with Dominque, but with a young Latino gay immigrant named Dominic. Their convergence is key to the play’s themes and artistry. Juggling back and forth between the two characters, a fugue plays an important role, not only musically (Dominic, an aspiring composer, writes one after a feverish dream), but in the dance they perform. Not a real dance per se, although in the play’s final moment, a connection is made that is haunting and transcendent, particularly in Ortman’s beautiful staging. “I’ll go see about the soufflé” might seem an innocuous line. But in Nogueira’s writing, it carries with it all kinds of hints to hidden meaning, in exactly the way Pinter excelled. Late in the play, Dominic states: “I am a man. But I want to be more.” This evocative line is Nogueira at his best: simple and profound. As previously mentioned, the five-person ensemble are a tight-knit group. Kudos to Rebecca Gibel, Gabriela Garcia, Charlie Pollock, Keith Reddin and Darwin Del Fabro. Done on an obviously tight budget, the scenic design by Ao Li managed to convey all that was necessary with economy and precision, as did the mood-specific lighting by Kia Rodgers. What’s art? What’s artifice? What’s real? In addressing these issues for us to ponder, Real provides food for thought that make for a rich meal. In Nogueira’s striking play, it is my supreme hope that we will see it again sometime soon, ideally in a venue larger than 98 seats, so that greater audiences may discover this artist’s authentic and oh-so-talented voice.